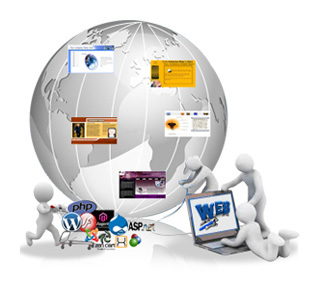 WebsiteDesign.org.in is a dynamic and professional company providing web development solutions in Delhi NCR. Our team of expert professionals provide for small and big businesses as well as start-ups. We offer services for SEO, web designing and web development in Delhi NCR as per requirements of our clients to ensure increase in their ROI. Our team keeps itself updated with the latest developments and keeping modern trends in mind, we develop feature packed fully functional website solutions which can help businesses create an effective online presence. Numerous satisfied clients for web design and development, projects, are a testimony to our skill and understanding of different business requirements. We provide our clients a choice of latest templates, designs and features and can develop user friendly custom applications that are easy to manage.Our team of thoroughly professional developers possesses the right attitude and aptitude for working on various web platforms. We excel in designing ecommerce websites too. Based out of Delhi NCR, we have our client base across the world.